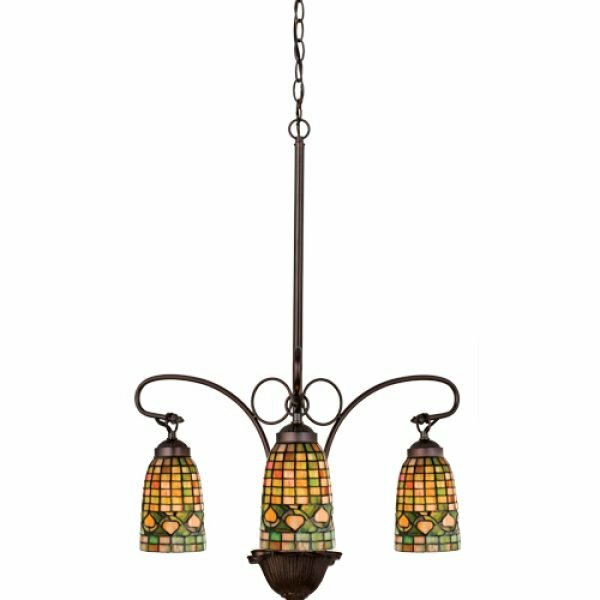 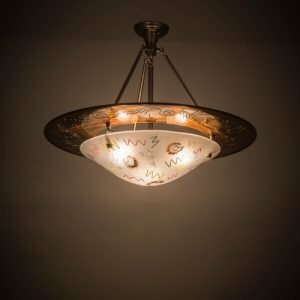 Louis Comfort Tiffany Inspired Golden Acorns Dance Playfully In A Ring Around These Geometric Grid Patterned Elongated Shades In Autumn Harvest Honey, Rust And Olive Green. 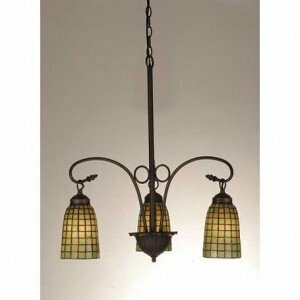 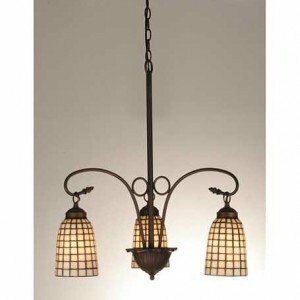 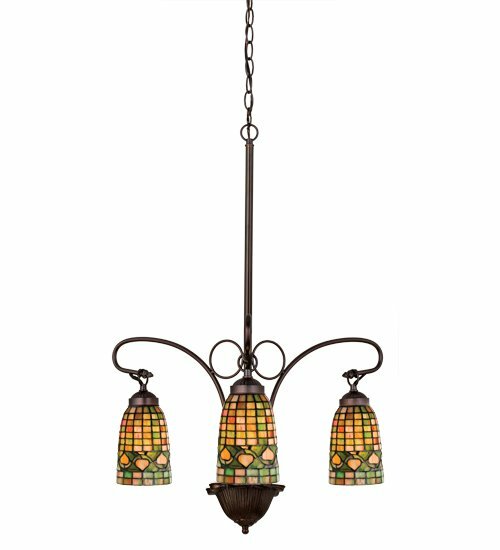 The Simply Stated Three Light Chandelier Is Finished In A Warm Mahogany Bronze. 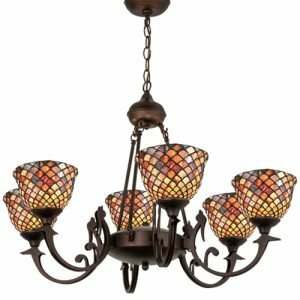 This Chandelier is handcrafted using LC Tiffany’s time-honored copperfoil construction technique.